If you are thinking about getting the shingles vaccine, or if your physician has recommended it, you may be wondering about the shingles vaccine side effects. After all, almost every medical preparation has some sort of secondary effect, and sometimes those secondary effects are adverse. What are shingles vaccine side effects? While a shingles vaccine can be a huge help to anyone over age 60 and at risk for shingles, any medication can cause unexpected problems. A VZV vaccine called Zostavax was approved by the Food and Drug Administration in May 2006, for use in people around 60 years and older, who have had chickenpox. Studies showed that the administration of the vaccine to older people reduced the expected number of cases by half, and those who got it despite immunization, had milder symptoms and complications. The Shingles vaccination is only a preventive therapy, and is not effective as a treatment for someone who already has shingles or postherpetic neuralgia. Some people develop a chickenpox-like rash near the place where they were vaccinated. In addition, one in 70 people experiences headache. A rare side effect is an allergic reaction to the vaccine, which may cause difficulty in breathing and swallowing or development of rashes. 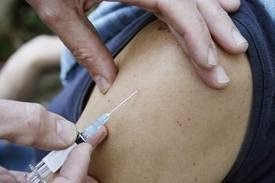 One may or may not experience any side effects of shingles vaccine. 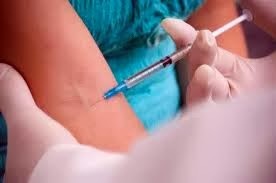 The following side effects are very rare and it is difficult to say that they are caused by taking shingles vaccine. Polymyalgia rheumatica, a condition that causes pain in the neck, shoulders and hips. It also develops stiffness in the muscles. If you experience such problems report to your health care provider immediately for proper diagnosis and further treatment. There are other "rare" side effects that can be potentially dangerous. If you experience any of these problems after a shingles vaccination, contact your physician right away. These reactions include signals that you are having an allergic reaction, such as finding it difficult to breathe or swallow, or developing a rash similar to that of chickenpox. Another rare side effect involves asthma. If you have asthma and your asthma seems to be getting worse, you may be having problems as a result of the vaccine. If you feel like the muscles in your neck, shoulders and hips are getting stiff and are hurting or if you think that you are experiencing a heart attack, get help. Side effects are unintended reactions that some people experience when taking a given drug. These reactions can range from mildly annoying to life-threatening. However, not everyone "gets" side effects when taking a drug. Keep in mind that any given side effect that you are feeling may not be a side effect at all, but might be a symptom of another medical condition. Therefore, before a doctor gives you a shingles vaccine, disclose your full medical history. And, if you experience a side effect that is rare and potentially dangerous, contact your doctor for peace of mind, if nothing else.